Home BINARY OPTIONS BINARY.COM CHART SIGNAAL INDICATOR STRATEGY IQ OPTION STRATEGY TRADING How does Average True Range (ATR) Help Increase Profit? How does Average True Range (ATR) Help Increase Profit? 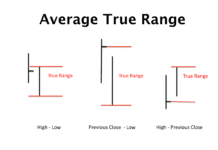 Average True Range (ATR) is one of the volatility indicators that is able to show the movement of points and average points in a certain period of time. ATR has many benefits for traders, especially for increasing profits. Besides being able to give orders, ATR can also function like a trailing stop even though it will be more specific. Trailing stop can reduce the risk of loss if the planned strategy does not work. Another function is to lock in profits when the points move according to the wishes of the trader. Like trailing stops, using ATR is not a must for traders, but in the form of choices. So, how can the ATR instrument help traders get a lot of profit? The ATR indicator moves up and down like points up and down. The movement of this indicator is based on the movement of points, in other words being able to read points. For example, when ATR shows the number 0.23, it means that on average the price moves USD 0.23 per one bar. In the forex market, ATR will show a pip or profit. For more details, when ATR shows 0.0025 pip, it's the same as 25 pips. The results shown by ATR are calculations of a certain period of time. If ATR is set to read the chart every one minute, it will automatically show the results every minute. Likewise arranged up to a day, then ATR will present data for up to one full day. Because the way ATR works is based on price movements, the data presented by ATR for one particular currency asset is not compared to other assets. For example, if ATR shows 0.50 and the asset price is USD 10, then it is still too high because it means there is a 5% price movement. But if the asset price is USD 100 and ATR 0.50, this is still relatively low because the price movement is only 0.5%. ATR can help show the price movements of a currency to the specified time limit. Traders can use this information to plan how much profit is targeted, and can provide information when traders must enter the market. ATR is a dynamic indicator, so the transaction price may be above the price indicated by ATR. For example, if the daily moving price price reaches USD 1 and there is no significant news that affects, there is a possibility that prices can rise to USD 1.20. But if taken on average, the result can be USD 1.35. This means there is a price movement of 35% of the average price. Let's make an assumption if this is a signal for traders to enter the market. If this signal is truly valid, because prices move more significantly than the average, buying prices that continue to rise is not a wise decision for traders. Because prices have gone up and moved more than the average value, it is more likely that there will be a decline in prices. Therefore, it is better if the ATR indicator is used separately. If you use ATR for a short-term strategy, for example 1-5 minutes, the indicator will show an increase in prices especially when the new market opens. 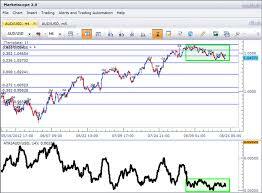 For example, if the forex market opens at 08.00 WIB, then the ATR will move up. This is because when using a chart with a period of 1 minute, the indicator will immediately indicate how many bars are moving in 1 minute. ATR moves up indicating greater volatility than the previous day during the closing session. After rising sharply during the opening session, ATR then showed a decline throughout the day until the closing session. ATR actually has drawbacks, that is, it cannot provide a lot of information except about price movements that can be changed as needed. With the same method, ATR is used to see how many currencies are moving every day. From here, traders can use this information to estimate what the next price movement points will be in the next 5-10 minutes. Thus, the trader can stabilize the profit target he wants to achieve, or can stop immediately if the market situation does not take sides. READ TO What Is Different from Binary Options and Forex? This one indicator is very useful to get out of the market, especially when a trader has been in a long-term transaction. A trailing stop-loss ATR is very helpful if the price falls a few points. In other words, this indicator reduces risk and locks profit when prices move in the direction of predictions. This combination of two methods is very helpful in a saturated market. When in transaction mode, look back at the data generated by the ATR. Place a stop-loss order several times according to the data suggested by the ATR. Twice is the fair amount commonly used by traders, meaning that traders give stop-loss orders twice below the entry point when buying. Or, twice above the entry point if shorting. Stop-loss only moves to lock in profits and reduce risk. But if points move in the direction of predictions, continue to give stop-loss orders twice below the points. Stop-loss only moves up, not down. When moving upwards, the position will not change until there is another driver. And if points fall, the transaction will automatically exit.